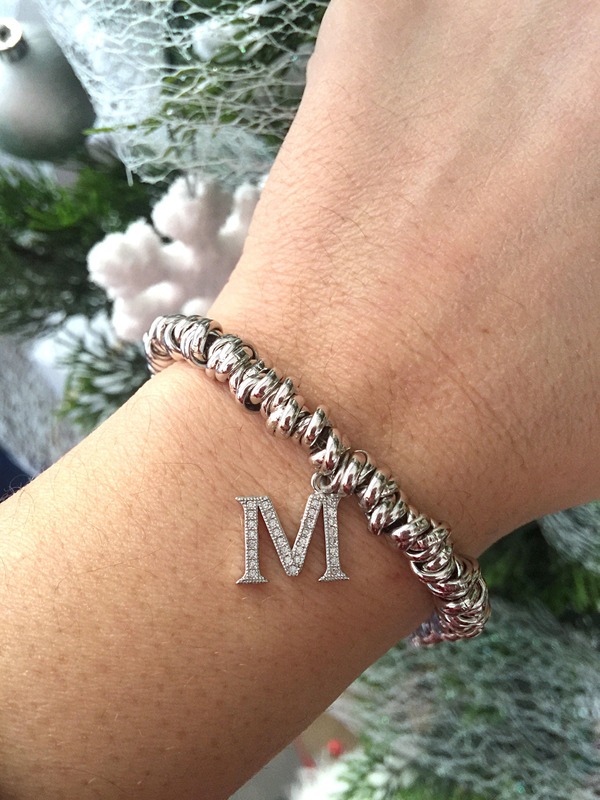 The bracelet for sale is made entirely by hand using silver aluminum knots. 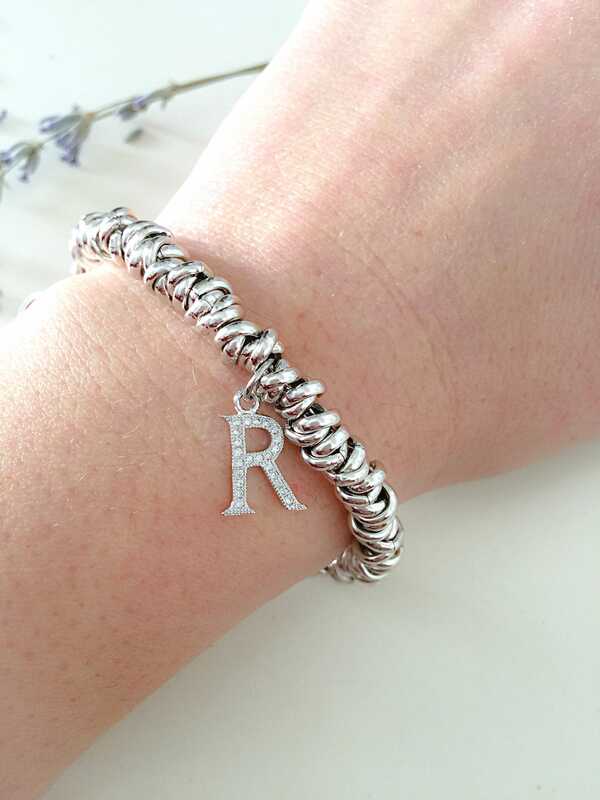 The pendant is a small initial in 925 silver with cubic zirconia. 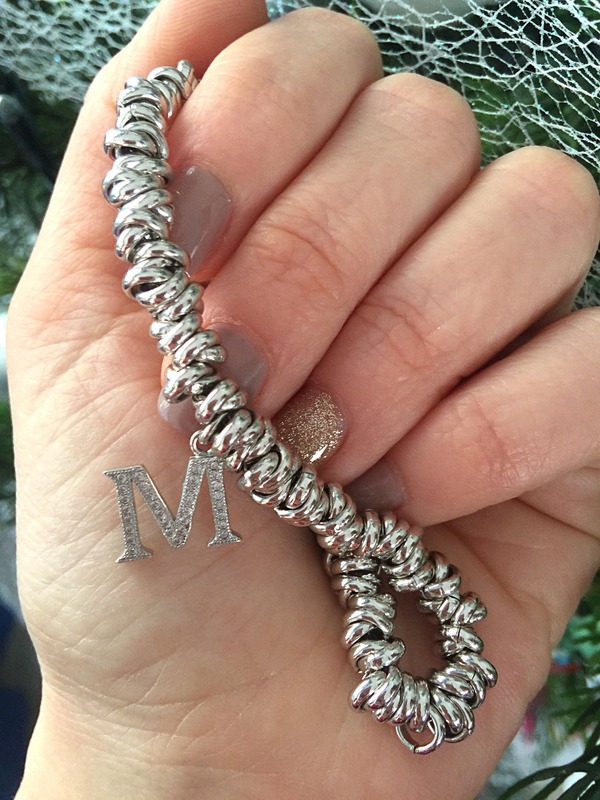 The size of the bracelet is customizable based on the wrist of who should wear it.